Growing up, sports always made me feel at home — my teams became my family. I thought sports made others feel the same way until high school, when there was outrage when an openly gay male student wanted to join the cheerleading team. There were no gender restriction rules, but the girls on the team were still mad. Their main concern was where he would change. He eventually ended up on the team. The LGBTQ+ community has experienced extensive abuse and harassment when it comes to sports. There have been recent breakthroughs, including the 2014 NFL drafting of openly gay player Michael Sam and the International Olympic Committee’s 2016 decision to change its policy and become more inclusive to transgender individuals. Though the international sporting community is becoming more aware, there is still more to be done in the progression of LGBTQ+ inclusivity in the sporting community. At the University of Toronto, one of the most visible campaigns is the Change Room Project, a joint initiative with the PanAm Pride leadership group and spearheaded Caroline Fusco, an associate professor in the faculty of kinesiology and physical education at U of T. The project involves displaying comments or stories, written by LGBTQ+ students, around and outside the change rooms at the Goldring Athletic Centre. All the statements reflect on individuals’ experiences in the locker room, shedding light on the troubles that they have faced and continue to face. The project “places the words of LGBTQ students in the very spaces where they are underrepresented,” reads a brochure. It seeks to build awareness of and investigate how social and physical experiences of LGBTQ+ people in athletic facilities impact their participation levels, giving a platform to marginalized people who would otherwise feel uncomfortable or fearful entering or using the facilities. One of the more publicized comments was made by Luca Nagy, a lesbian student with more masculine features. In her statement, she explains the harassment she has endured, including unwanted stares and people telling her she doesn’t belong in the women’s locker room. Editor’s Note (March 23): This article has been updated to reflect that the Change Room Project was spearheaded by Caroline Fusco. On Thursday night, the Equity Studies Students’ Union hosted the first in a series of events called Linked Oppressions. 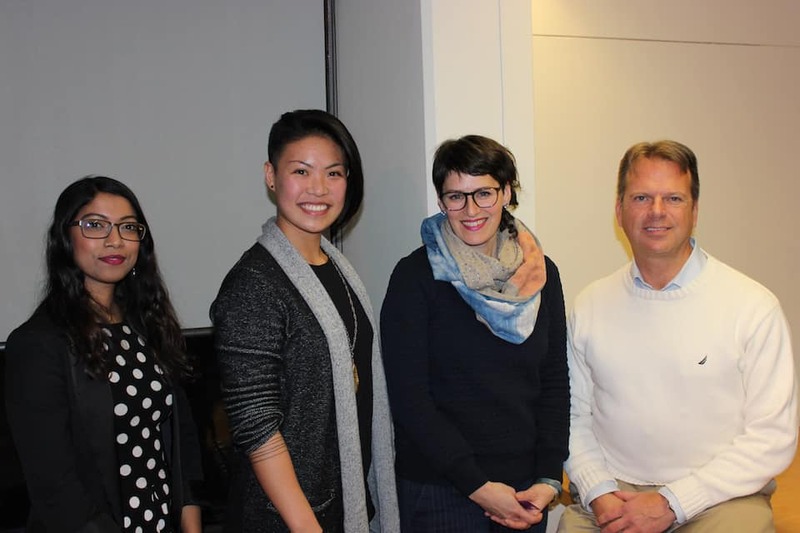 The inaugural event, entitled Challenging Institutional “Safe” Spaces was co-hosted by Hart House’s Change Room Project, a tri-campus initiative devoted to giving voice to LGBTQ athletes’ experiences in the locker room, represented through the students’ text-based lived experiences. At the event, many questions were posed regarding how institutions like U of T respond to concerns over safe spaces, especially within the athletic community. “…physical fitness and physical educational are a huge part of mental health everybody needs to move their bodies in order to feel well in the world,” explained Day Milman the project coordinator for the Change Room Project and panellist at the discussion. Milman explains that the project was created from the idea of what change room walls would say if they could speak, and how LGBTQ voices are often unheard during conversations in athletic spaces such as change rooms. “[LGBTQ] voices are often muted or unheard completely and one of the thoughts I kept having [was] about graffiti and how there is always this subtext going on in private space like bathrooms and change rooms” explained Milman. Joining Milman on the panel was OutSport Toronto chair Shawn Sheridan and U of T alumni Christine Hsu, both of whom are distinguished and visible members of the LGBTQ community advocating for safer spaces within the realm of sport and athletics. Sheridan, has worked in his capacity as the chair of OutSport Toronto to educate the Varsity Blues about the influence they have as role models not only to create safer places for LGBTQ student-athletes but also that they have responsibilities as role-models in the student-community. While acknowledging that major strides have been made in the past few years by major sport governing bodies like the International Olympic Committee (IOC) — who are expected to update their transgender policy before the summer Olympics in Rio to remove gender reassignment surgery as a requirement to compete — it is still true that many organizations lack the education to go along with their policies which can be problematic. “Policy needs to change yes, but there needs to be people who are regulating those policies and who are implementing those policies,” said Hsu.